Sweet, but only for an hour or so, and then ugh! Above is Ali. 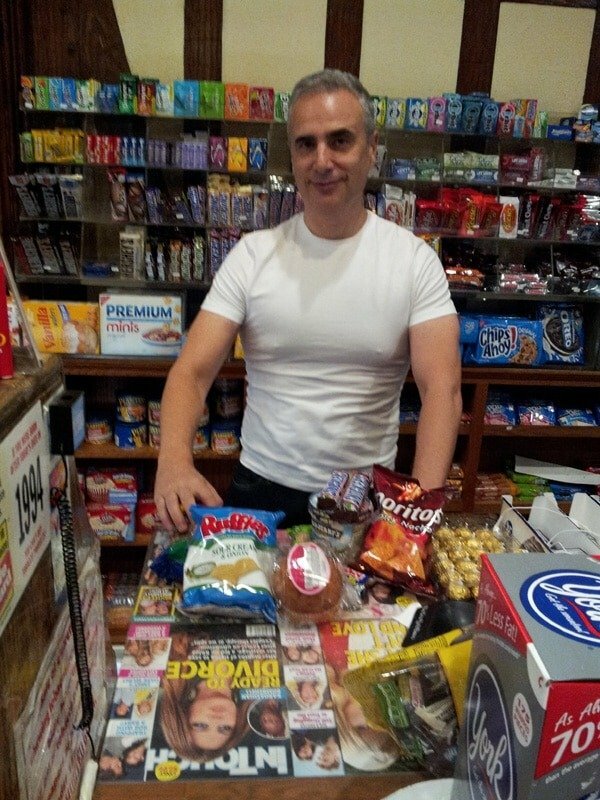 He was the go to guy for all of my favorite snack or as I am used to calling: Nosh! I am traveling and the nosh will keep me company. I just accomplished something great so the snacks will help me celebrate. I just failed miserably and have anxiety, so the nosh will help take away the anxiety. I feel depressed, so the nosh is now going to lift me out of my depression. I feel depressed, the nosh will not lift me out cause I am way too deep in the pit, but at least it is something. At least there is a bright yellow bag filled with M&M's which will make me feel better for a few minutes, until I start feeling gross, which is sure to happen. 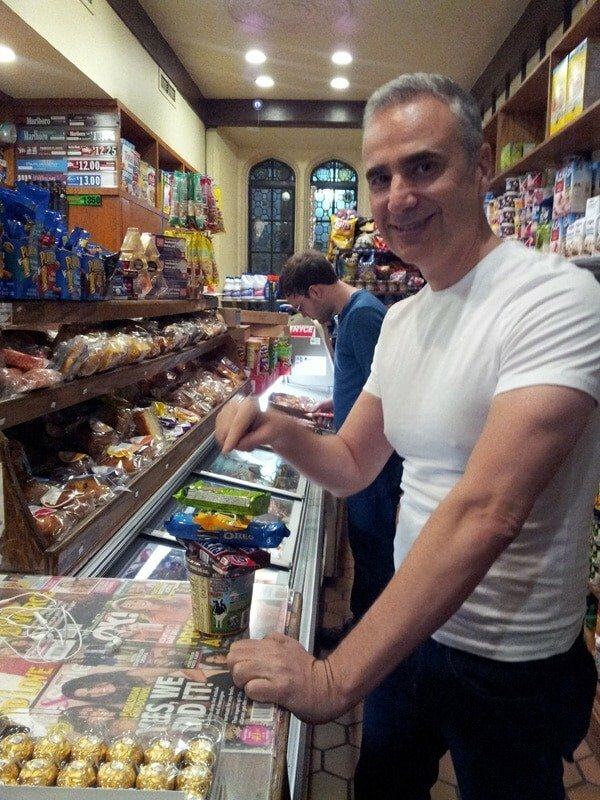 Now, Here I am pointing to my old favorite night time nosh! Ben & Jerry's Vanilla Heath Bar Crunch, wow, that stuff would make me so high as the red bull parachutist who jumped from the edge of space! Snickers, Oreos, Reese's, Chips And Pretzels would provide the rest of the banquet of sugar and chemical soup which would totally disconnect my brain from reality for an hour or so until I would soon hit bottom. So I am saying here; No To This Type Of Nosh! No Mas! No, No, No, Zehhu! That's It! Ali was shocked. He knew that I have been changing over the last six months, but had no clue how much because he had not seen the before and after photos, and he was also not aware of how long I had not had even one snack, even one cookie, even one oreo, Oh , my Oreos! Generally, Ali and I speak to each other in Arabic, Hebrew and English. Ali is my Arabic teacher and I in turn teach him Hebrew, but I am not a native Hebrew speaker like Ali, who is a native speaker of Arabic. We have both been shocked by how similar the languages are! The alphabet and many many words are the same. Here is a picture of Ali! Good guy! 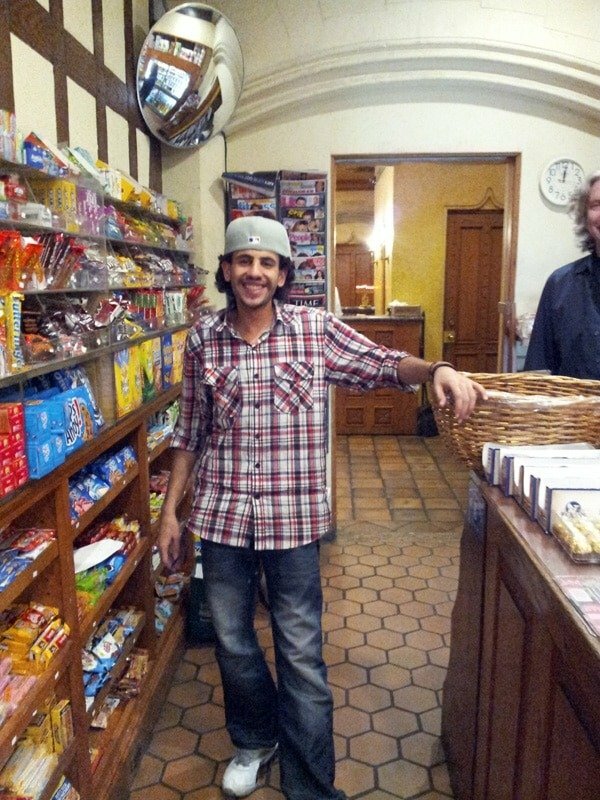 Here is Ali, who used to sell me all of the Nosh. Now he is Ali that teaches me Arabic, makes great tea and sells me my water, bananas, oranges, berries and nuts! Go Ali! So you think I was encouraging these great comfort snacks? Nuh uh, no way today. My New Comfort foods are raspberries, blueberries, blackberries, mango, grapes, persimmons, all types of good stuff like that. Throw in some unsalted roasted almonds, sunflower seeds or pistachios, and I am a pretty happy camper! Now is this stuff nosh or what? The best in the west for sure, my favorites, ice cream, cookies, oreos, babe ruth bar, resse's, chunky chocolate. But strangely enough, I was not too tempted. 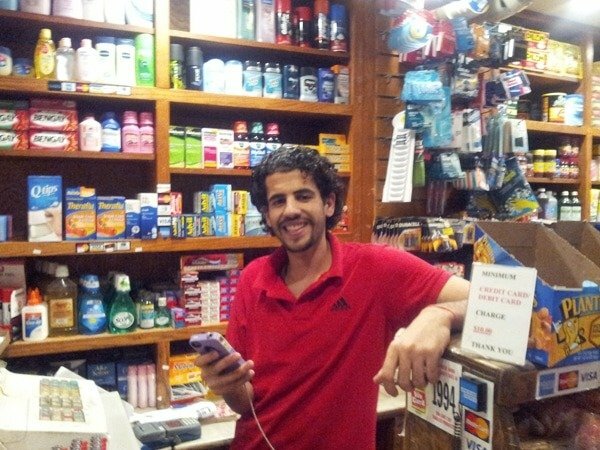 So no worries, Ali and I were just remembering what I used to buy at his store, but not for the last six months!